Welcome to Beautifully Made Link Party #48! This link party is specifically for DIY and Craft bloggers! If you made it, built it or refurbished it, we'd love to see it! The link party opens Tuesdays at 7:00 am ET and closes Fridays at 9:00 pm ET. . . . 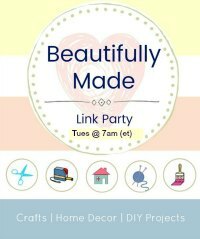 Welcome to Beautifully Made Link Party #47! This link party is specifically for DIY and Craft bloggers! If you made it, built it or refurbished it, we'd love to see it! The link party opens Tuesdays at 7:00 am ET and closes Fridays at 9:00 pm ET. . . . Welcome to Beautifully Made Link Party #46! This link party is specifically for DIY and Craft bloggers! If you made it, built it or refurbished it, we'd love to see it! The link party opens Tuesdays at 7:00 am ET and closes Fridays at 9:00 pm ET. . . . 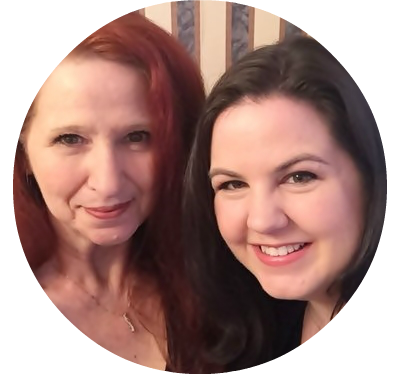 Welcome to Beautifully Made Link Party #45! This link party is specifically for DIY and Craft bloggers! If you made it, built it or refurbished it, we'd love to see it! The link party opens Tuesdays at 7:00 am ET and closes Fridays at 9:00 pm ET. . . . Welcome to Beautifully Made Link Party #44! This link party is specifically for DIY and Craft bloggers! If you made it, built it or refurbished it, we'd love to see it! The link party opens Tuesdays at 7:00 am ET and closes Fridays at 9:00 pm ET. . . . Welcome to Beautifully Made Link Party #43! This link party is specifically for DIY and Craft bloggers! If you made it, built it or refurbished it, we'd love to see it! The link party opens Tuesdays at 7:00 am ET and closes Fridays at 9:00 pm ET. . . . Welcome to Beautifully Made Link Party #42! This link party is specifically for DIY and Craft bloggers! If you made it, built it or refurbished it, we'd love to see it! The link party opens Tuesdays at 7:00 am ET and closes Fridays at 9:00 pm ET. . . . Welcome to Beautifully Made Link Party #41! This link party is specifically for DIY and Craft bloggers! If you made it, built it or refurbished it, we'd love to see it! The link party opens Tuesdays at 7:00 am ET and closes Fridays at 9:00 pm ET. . . . Welcome to Beautifully Made Link Party #40! This link party is specifically for DIY and Craft bloggers! If you made it, built it or refurbished it, we'd love to see it! The link party opens Tuesdays at 7:00 am ET and closes Fridays at 9:00 pm ET. . . . Welcome to Beautifully Made Link Party #39! This link party is specifically for DIY and Craft bloggers! If you made it, built it or refurbished it, we'd love to see it! The link party opens Tuesdays at 7:00 am ET and closes Fridays at 9:00 pm ET. . . .